Sadly the growth in the rotary fleet has seen helicopter incursions becoming commonplace around regional and metropolitan aerodromes, with near misses (or perhaps they could be called near hits) regularly featuring in aviation investigation reports. While some incidents could be considered unavoidable, they most commonly stem from human factors issues, with pilots forgetting, not understanding, or simply ignoring, complex aerodrome procedures. But regardless of how confusing aerodromes can be, pilot distraction continues to be the prevalent factor in a majority of helicopter incursions. Distractions in cockpit take many forms, from swiping furiously at a blowfly to daydreaming about that upcoming holiday. A failure to embrace the Buddhist ideal of ‘living in the present’ can mean that the most basic of safety steps – such as not having your radio volume turned up – is overlooked. This simple error was made by an instructor and a student pilot of a Bell 47G Helicopter at Ballina Airport last year. After flying several circuits and having a short break, the pair broadcast over the common traffic advisory frequency (CTAF) that they were about to resume circuits. 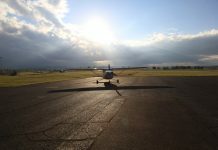 They departed shortly after and landed two-thirds of the way along the runway in order for the instructor to brief his student before recommencing training. At the same time, a Fairchild SA227 was preparing for a charter flight and observed the helicopter landing. A minute later he broadcast a taxi call and taxied towards the runway. After hearing no further broadcasts from the Bell, the Fairchild pilot broadcast on CTAF that he was entering and backtracking the runway. Again, he received no response. A few minutes later the Fairchild broadcast a rolling call and was acknowledged by another aircraft inbound to Ballina. With no contact from the Bell, the pilot did one final check of the runway and – failing to see the stationary helicopter – began to take off. It was only just before rotation that the pilot saw the Bell on the runway. Making a quick decision he continued take-off and increased the climb angle to help increase separation with the stationary Bell. As the Fairchild zoomed overhead, the instructor of the Bell tried to radio the plane – with no response. It was only then he realised that the radio volume had been turned down and quickly vacated the runway. In the Australian Transport Safety Bureau (ATSB) report, the flight instructor of the Bell said the incident took place at the end of a long hot day. He also said that he and his student pilot had been making all the appropriate calls on the CTAF and weren’t concerned about not receiving any responses because low traffic volume was common for Ballina at that time. But with the volume turned down, the pilot of the Bell was oblivious to surrounding aerodrome activity. It was also noted that one of the transmissions he did manage to make on the CTAF was partially over-transmitted, adding to the confusion and highlighting how minor miscommunications can combine to increase the risks of operations at non-controlled aerodromes. Although most helicopter incursions are not as potentially dangerous as this near miss, simple mistakes can quickly lead to similar situations. In fact, class D airspace with aircraft under ATC control accounted for a third of all loss of separation incidents between 2008 and 2012. In this airspace, two aerodromes stand out: Moorabbin and Bankstown. Bankstown might not be as complex as Moorabbin, but like any busy aerodrome, all entering and exiting aircraft must follow strict procedures. Unfortunately, many pilots, particularly of the rotorcraft variety, are violating these. Bankstown accounts for over a third of all helicopter incursions nationwide. In each incident summary the words ‘without a clearance’ are seen. 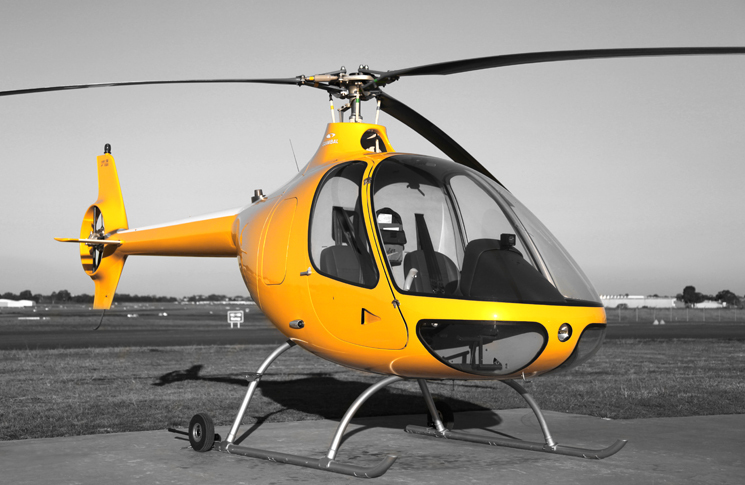 According to Airservices Australia, about 60 per cent of all helicopter incursions are due to distraction-related incidents. When coupled with often complex aerodrome procedures, helicopter incursions become very easy to make. Airservices also estimate that close to a quarter of incursions at Bankstown are due to chopper pilots simply landing on the wrong helipad. 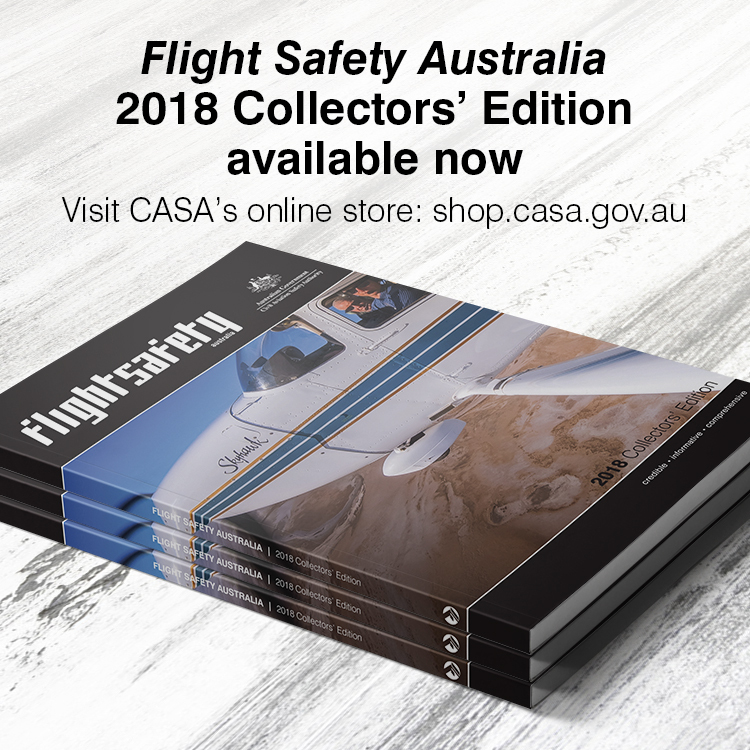 CASA will soon be releasing a completely revised version of OnTrack that for the first time will include location-specific heli ops instructions to help rotorcraft pilots understand the often baffling procedures at complex, challenging aerodromes such as Moorabbin and Bankstown. The third incarnation of the popular OnTrack, due to be released in mid-August 2014, will also for the first time use Google Earth and include videos for each of the aerodromes. 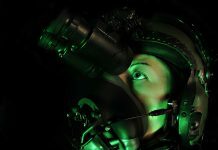 Pilots will benefit from the insights of chief pilots and instructors (fixed-wing and rotary), military personnel and tower managers, who share tips and inside knowledge about how to follow correct procedures in a series of videos covering a wide range of topics such as clearance procedures, navigation points, NOTAMs, restricted airspace, taxiing instructions, hotspots and much more. There is also a timely reminder from ATC to make sure your radio is working and the volume is turned up. Whilst that article is a good read & a bit of a wake up call for the angry palm tree fraternity a more humorous event I had not long after the turn of the century I was inbound to BK in a twin turbo prop via the radio station mast 2RN contacted BK Twr boys for the usual report when I was told to track direct to the help-pad NE of the Rwy complex. I had to laugh when I called back and said just for yr info we are a Super Kingair, confirm you want us on the pad? ?True story?